IDI InfoTech is a CMS Website Development Company in Coimbatore, India; offering CMS Web Design and Development services to clients across all companies and business sectors in Coimbatore, Tamil Nadu, India with affordable price Packages. Our Custom CMS Website designing like Wordpress development, Joomla Web development, Drupal development enables clients to serve their customers better through reliable self-service automated processes. IDI InfoTech provides a complete web CMS system that’s amazingly easy to use. IDI InfoTech has vast expertise in several Open Source CMS platforms to build web solutions that can be as robust as enterprise level websites. A content management system (CMS) is a computer application that makes content authoring and content delivery easy. Such systems of content management provide procedures to manage workflow in a collaborative environment. CMSs are often used to run websites containing blogs, news, and shopping. Many corporate and marketing websites use CMSs. CMSs typically aim to avoid the need for hand coding, but may support it for specific elements or entire pages. Content management system is a system that manages (publish, edit and modify) the website contents from a centralized interface. The two elements in the system Content management Application (CMA) and Content Delivery application (CDA) allows the user who are not familiar with Markup language - HTML, to manage the web content in a way they wish. One can create, modify organize and remove the content from website without the need of a webmaster. The web approach publishing facility admits users to use template or a group of templates, wizards and other tools to modify or create content in the webpage. A web content management system organize and index contents at runtime and send the requested information to visitors as other programming languages deliver information. Why WEB CMS has gained popularity over the years is that it allows the user to take control over HTML based files, contents, images, and documents. When it comes to picking the best CMS there are plenty of options to choose from for the project development. Depending upon on the language its built in and the users who are going to use the CMS, its a nightmare to pick the perfect CMS. But some have slight edge over the other because of the software re- usability. Here are some of the best CMS available in the market. The best PHP CMS so far and the best blogging platform overall word press is a well documented and good platform for the novice. The WYSWIG editor embedded in Wordpress helps the users who are not friendly with markup languages like HTML. The other notable feature is the built in image and multimedia uploading support. Word press allows the users to choose number of plugins to choose from. 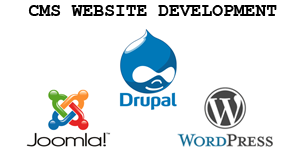 Drupal is another CMS that focuses more on pure CMS than the blogging platform. It comes with modules that support users to add features like forums, blogs, profiles etc. The Drupal CMS has a very large community following. Simple installation of Drupal will help to develop sites with some social features and with 3rd party functionalities you can create fascinating site replica with ease. It renders support to various plug-in and other questions. When it comes to functionality Joomla is very much advanced than the others. Thanks to the Joomla installer and it simply works with the common hosting packages. Joomla is packed with powerful administration interface with instinctive drop down menus and other facilities. It has greater access to protocols like LDAP, Open ID etc.. to start with Joomla is fairly simple. With more than 3000 extensions hosted in Joomla site, the programming community behind this CMS is kicking and alive. Other noted CMS Platforms are EE (express Engine), Text pattern, Radiant, silver stripe and TYPO light. Create a CMS website that stands apart in the world of web with IDI Infotech.